Amidst the disruptions witnessed in the Parliament, the Supreme Court of India has been approached by the Foundation for Restoration of National Values, asking if guidelines can be laid down for the smooth, unobstructed and unhindered functioning of the Parliament of India. It brings to the Court’s notice that the working of the 15th Lok Sabha over its five year term was disrupted frequently, making the productivity of the 15th Lok Sabha to be the worst in the last fifty years. 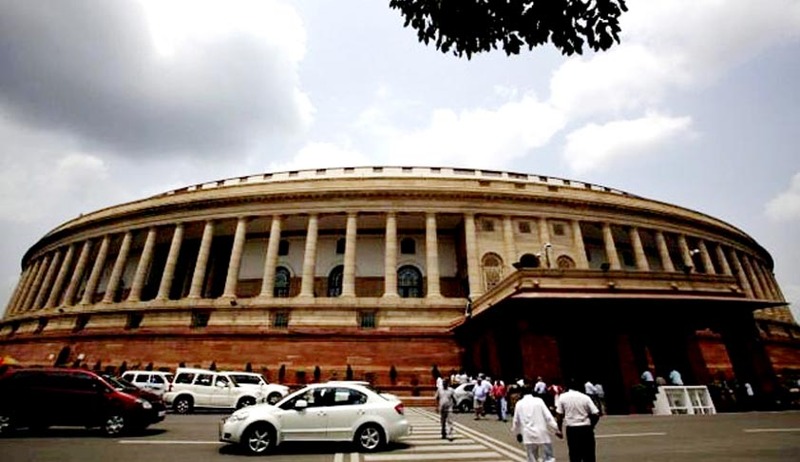 Disruptions during the term of the 15th Lok Sabha resulted in the Lok Sabha working for 61% and the Rajya Sabha for 66% of its scheduled time, according to a credible in-depth research and study by PRS Legislative Search. The Petition refers to the legislative agenda of the monsoon session of the Parliament, which has been convened from 21 July to August 13, 2015. The agenda includes 11 legislative bills currently pending in Parliament for consideration and the introduction of 9 new bills, which include important legislations such as the Right to Fair Compensation and Transparency in Land Acquisition, rehabilitation and Resettlement (Second Amendment) Bill 2015 and the Constitution (122nd Amendment) Goods & Services Tax (GST) Bill 2014, among others. It says that the Parliament is unable to rid itself of the “malaise of disruptions and interruptions by its own constituents”, “which has brought this great institution and its pivotal role in a democracy, into disrepute, ridicule and public outcry”. The nature and manner of disruptions, which are wholly unacceptable in a civilized society, neither reflect dissent or censure, but criminal intimidation, unreasonable obstruction and breach of the public trust and faith, which ordinarily and otherwise would constitute offences punishable by law. It hence prays for guidelines to be laid down to ensure that the public at large and the public exchequer are not adversely affected on account of Parliamentary proceedings being unreasonably and unjustifiably obstructed, stalled and disrupted.